I had such a conversation with a close family friend four years ago, and I’m still thinking about it. The woman I was speaking with told me that her mother died of ovarian cancer and that she was so glad she’d had her own ovaries removed so she didn’t have to face that risk. I quickly told her that this was a great preventive step. But I couldn’t stop there. While she wasn’t asking me about the genetics of ovarian cancer, I felt compelled to share some information. 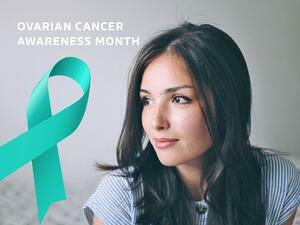 Approximately 20-25% of ovarian cancer cases are caused by a hereditary cancer syndrome. Cancer is most often thought of as part of hereditary breast ovarian cancer syndrome, related to mutations in the BRCA1 and BRCA2 genes. But it can also be associated with other hereditary cancer syndromes, including Lynch syndrome, in which the other cancers in the family typically occur in the colon, uterus or endometrium. Individuals of Ashkenazi Jewish descent (as my family friend is) have a 1/40 chance of carrying a BRCA mutation. Understanding genetic risk is not only important for the individual with cancer. Most hereditary cancer syndromes are inherited in a dominant fashion. This means the individual’s kids have a 50 percent chance of inheriting the mutation,, as do the person’s sisters and brothers. The risk cascades out to all family members. Because of this broader risk, I also explained to her that genetic testing is recommended for all patients with ovarian cancer as well as for their first degree parents, brothers, sisters, children) and second degree relatives (aunts, uncles, grandparents, grandchildren, nieces, and nephews). And I told her that she could learn more by talking to a genetic counselor. Understanding whether the cancer(s) in a family are hereditary is important because it can help those caring for all the family members better understand each person’s cancer risks, and guide screening, prevention and treatment. My friend made it clear that she’d crossed ovarian cancer off her list of concerns when she had her ovaries removed. With that, I let it go (or at least I stopped talking). But I keep thinking about what I might have said differently that could have helped her understand the potential impact of this information on her and her family. I would have felt differently if she had gone to see a genetic counselor, or said she was afraid of learning about these risks. That would have made me feel like she understood her potential risks for other cancers and was actively deciding not to get tested. But that wasn’t the case. Rather, I felt there was a misconception, a perception that because she’d had her ovaries removed, she was no longer at risk for cancer. We see this misconception far too often with ovarian cancer. It’s one that we all need to work to change. If you are wondering where my friend is now . . . well, I see her, as well as her daughter, son, and three granddaughters, at family events. At every interaction I debate whether I should bring the matter up again, while also being thankful to learn that they are all healthy and cancer-free. You have had ovarian cancer at any age (even in the absence of any family history of cancer). You have a family member with ovarian cancer on either your mom’s or dad’s side. You have a family member with a known cancer syndrome (due to an inherited mutation in a cancer gene). Ovarian cancer is more common in families with breast and colon cancer. To schedule an appointment to talk about your ovarian cancer risk click here. If you’d like to talk to a genetic counselor about your risk for cancer, click here to schedule an appointment with a Genome Medical genetic counselor.